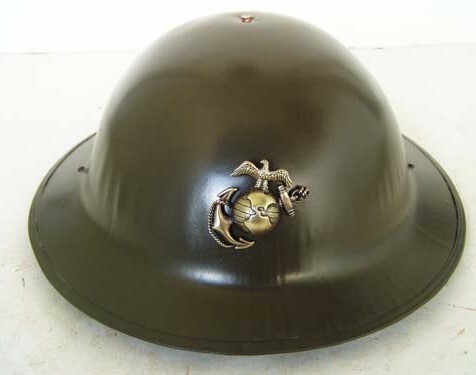 This helmet has been restored to look like it might have been worn by a member of the 4th regiment of U.S. Marines, the so called “China Marines” The EGA is unique to the China theater of operation. These EGAs were sourced locally in Shanghai and were made by Chinese or in some cases White Russian jewelers who had shops in Shanghai’s International Settlement. 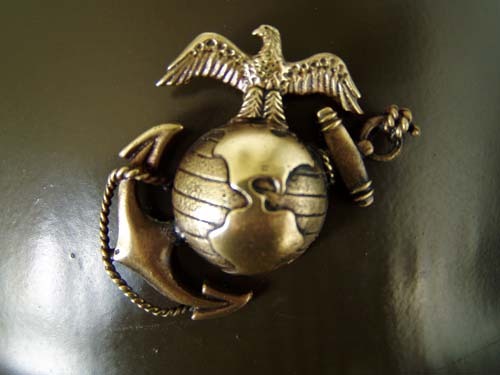 As seen in many original photos the helmet has been polished to a high gloss. 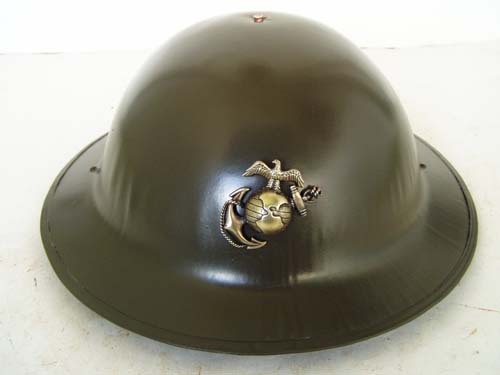 Contemporary photos show helmets like this worn by U.S. Marines on duty not only at the American Legation in Shanghai but also those who patrolled along Soochow Creek protecting American Interests in the International Settlement.